To reach affluent new consumer groups in a unique way, THG developed for Louis Vuitton a very modern take on the centuries–old French tradition of cultural “salons” for the Louis Vuitton Maison flagship stores in major markets, including New York, San Francisco, Miami, South Coast Plaza and Beverly Hills. Add Museum copy. The Salons de Louis Vuitton have included a party with jazz great Chris Botti performing at the San Francisco store, French pianist Jean Yves Thibaudet performing at a dinner in the South Coast Plaza store, a dinner for LA Phil Music Director Gustavo Dudamel and the Board of Trustees on the rooftop of the Beverly Hills store, and San Francisco with world-famous violinist Joshua Bell. THG worked with Louis Vuitton to produce each event, secured performing talent, participating vintners and chefs, and strategized on media outreach. The invitation-only events have brought in new highly-qualified customer segments and reinforced their existing top customer relationships. 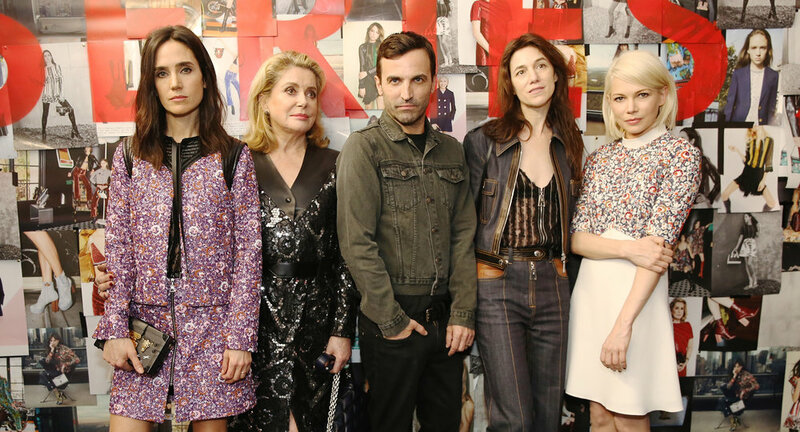 Very significant purchases were made surrounding the Salons and the program continued across the country as an ongoing platform for Louis Vuitton. THG was retained to develop the influencer strategy for international diamond company De Beers, in a joint venture with the LVMH Group, to launch their first two luxury retail stores in the US, in New York and Rodeo Drive in Beverly Hills. THG arranged a star-studded US launch event, with that year’s Academy Award® nominated actresses Nicole Kidman, Selma Hyack and Julianne Moore, extensively covered nationally and internationally in print and broadcast, including photos of the stars wearing DeBeers jewelry. Later, Julianne Moore was photographed wearing De Beers on the red carpet at the Oscar’s. THG then negotiated with presenter Queen Latifah to wear a De Beers necklace to the Golden Globe Awards®, generating extensive consumer buzz as well as national and global media coverage. The Holman Group developed a strategic partnership between De Beers LV and The Geffen Playhouse, for outreach to high-net worth and influential consumers. Events included a De Beers pre-party for top patrons in Christine Lahti and director Tommy Shlamme’s home in Brentwood and celebrities and social leaders wearing De Beers jewels on the red carpet at the high-profile Opening Gala for the renovated Geffen Theater. After a very successful launch, De Beers now has retail stores in top markets throughout the U.S. and around the world.